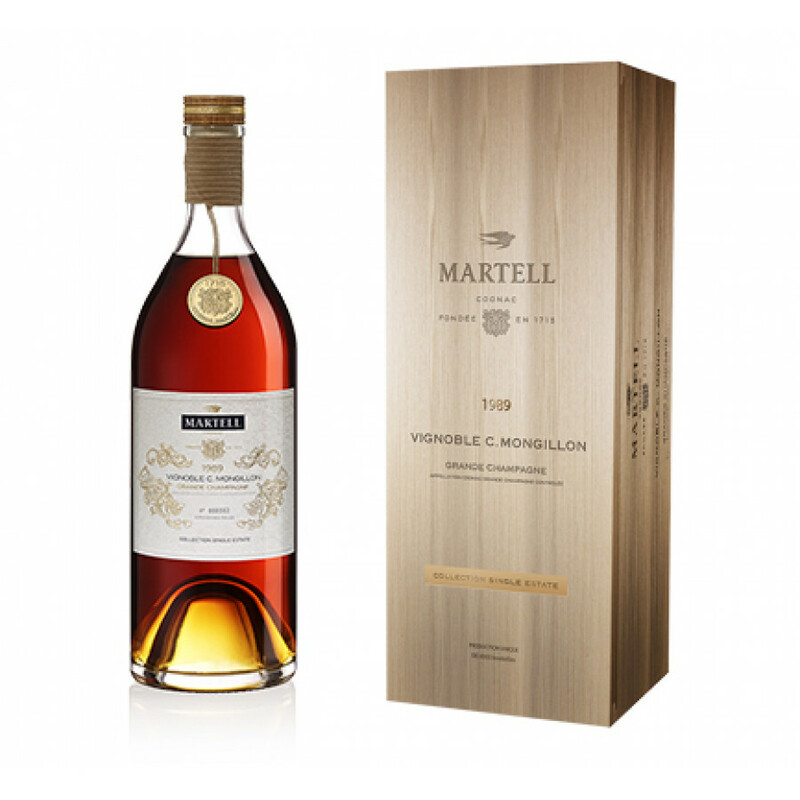 The Martell Single Estate Collection Vignoble C. Mongillon Vintage 1989 Cognac is a Grande Champagne delight! This single eaux-de-vie is the epitome of why this growth area is the premier cru of the region. From the moment you set your sights on it’s deliciously aged color, this is a delight for all the sens-es. The nose thrills with unusual aromas, including that of roasted coffee and nuts. From there the journey continues on the palate, with intense fruity flavors so indicative of Grande Champagne, fol-lowed by a truly satisfying finish. It also offers a final climax with hints of blackcurrants right at the end of the taste experience.